Clear G.I. 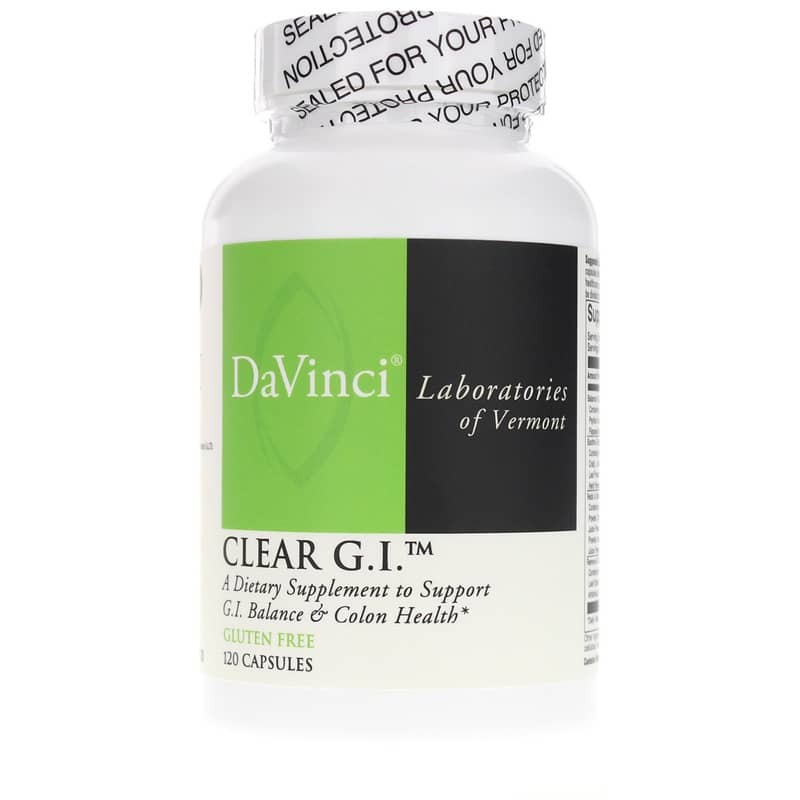 (formerly Colon Cleanse) from DaVinci Laboratories is a gluten free dietary supplement designed to support gastrointestinal balance and colon health. Colon cleanses may help remove years of toxicity from your system. The colon processes your food and helps you eliminate waste. However, the colon becomes lined with mucus-like material and food residue as your body processes denatured foods – or foods that have been altered in some way, by cooking, for example – or food combinations that are difficult to digest. Deep colon cleanses may remove these substances, often called mucoid plaque, for enhanced digestion, improved nutrient absorption, and better processing of toxins. 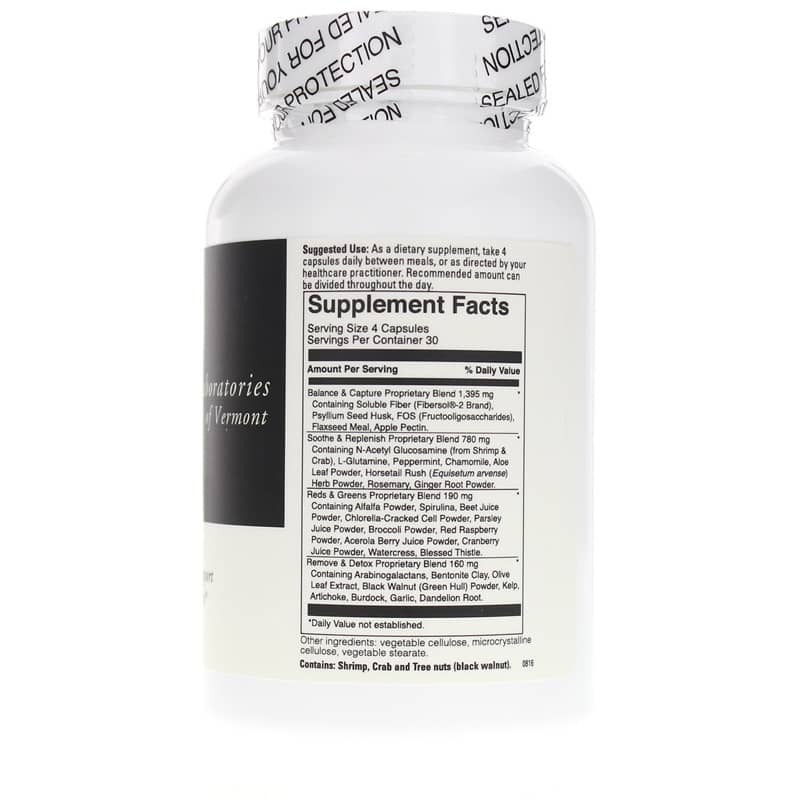 A deep intestinal cleansing may help boost your weight loss program or your overall health. 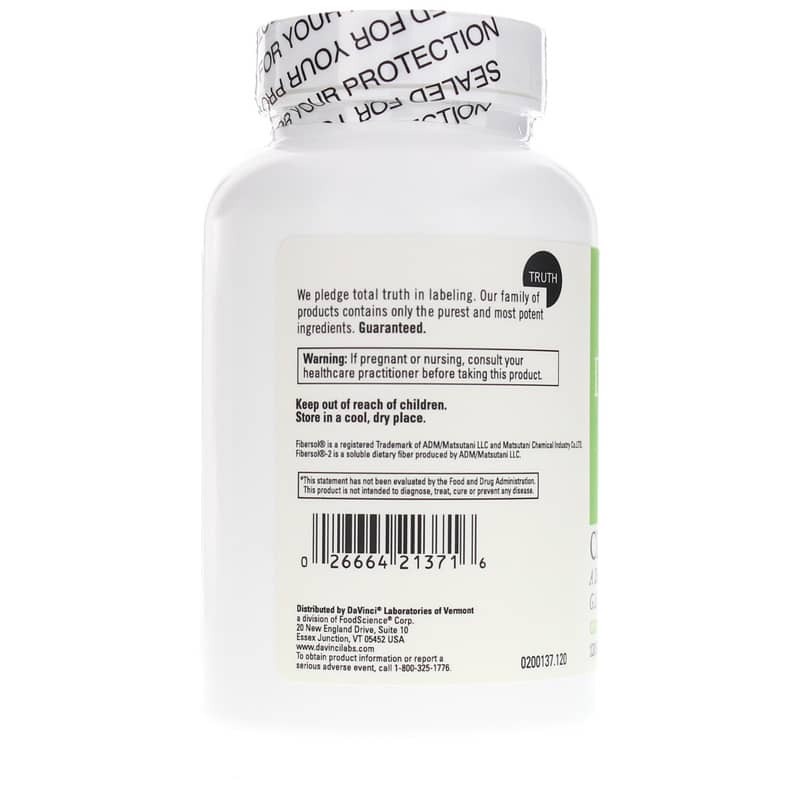 Adults: As a dietary supplement, take 4 capsules daily between meals, or as directed by your healthcare practitioner. Recommended amount can be divided throughout the day.